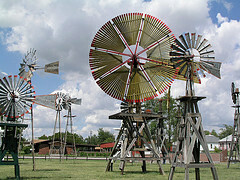 Three-acre display of 53 rare & restored mills from 1870 to 1970. Some are solid wood or folding wood wheels & no two are alike. A five-foot Star Zephyr & eighteen-foot steel Samson & an eighteen-foot Railroad Eclipse are just a few examples of what you will find here. 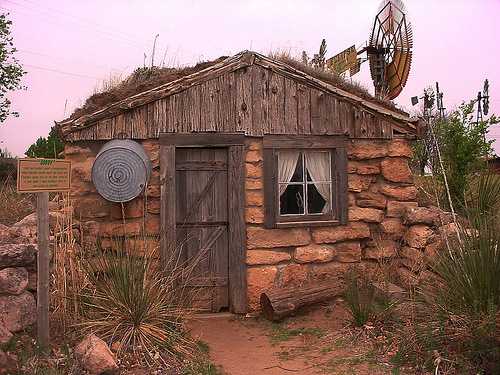 A half-dugout of local caliche rock has been reconstructed. 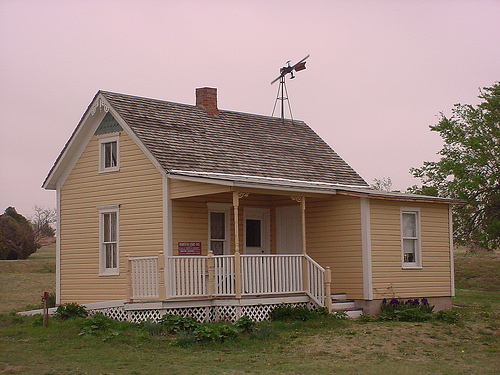 A 1900 story-and-a-half homestead house. Both are furnished as they may have been at the turn of the century. An unusual destination for a school field trip or for historians. Tours available. Days/Hours: Open daily from sunrise to sunset. The 1904 version of the Geo. Schulz General Merchandise Store is open daily from 10am - 4pm. Located at the Jct. of Hwy. 283 and Hwy. 15.